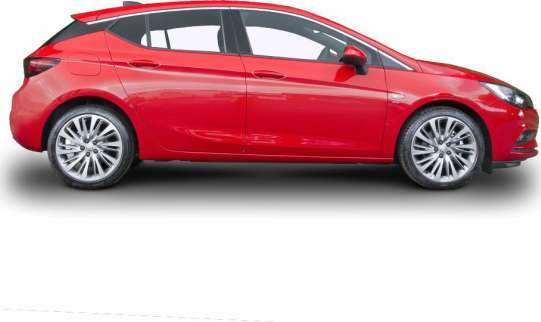 Compare brand new Vauxhall Astra Hatchback lease deals! All Astra Hatchback deals include delivery, road tax and a full manufacturer’s warranty. We collect the best Vauxhall leasing pricing from across the industry, saving you time and money. Select a trim below to get started. Which Vauxhall Astra Hatchback Trim Should I Choose? The seventh generation version of Vauxhall's Astra family hatch manages to be better equipped, more efficient and more spacious than its predecessor, plus it offers a worthwhile engine range that now includes an efficient little 1.0-litre three cylinder petrol unit. Think that sounds promising? Then like us, you might think that this could be an extremely tough rival for segment-leading Golf and Focus models. Here you can view the pricing history for the Vauxhall Astra Hatchback on LeaseFetcher. What is the fastest Astra Hatchback option? The Astra Hatchback 1.6T 16V 200 Elite Nav 5dr is the fastest trim. It will go from 0-62mph in just 7.3ss and has a top speed of 146mph. What is the most fuel efficient Astra Hatchback option? The Astra Hatchback 1.6 CDTi 16V ecoTEC Design 5dr is the most fuel efficient trim. In urban environments, it will achieve 55.4mpg and on the highway it will achieve 80.7mpg . Its combined fuel efficiency is 68.9mpg. What is the most eco-friendly Astra Hatchback option? The Astra Hatchback 1.6 CDTi 16V ecoTEC Design 5dr is the most eco-friendly. It emits just 107g/km of CO2. What is the cheapest Astra Hatchback option? The Astra Hatchback is the cheapest to lease. It costs just £162.05 per month with an initial payment of £1,458.45. That's for a 3 year deal with 8,000 miles.